Jul 16Congratulations to Recent Graduates! For many young people in our country, the end of high school marks the transition to college and a reward for years of hard work and study, but attending college is far from certain for many low-income graduates. All across California, we hear from residents that one of the key benefits of living in a Mercy Housing home is the ability to save for college. Today, we want to share two such stories. In June, Kelaija graduated from C.K. McClatchy High School in Sacramento, a big deal because she is the first person in her immediate family to earn a high school diploma. 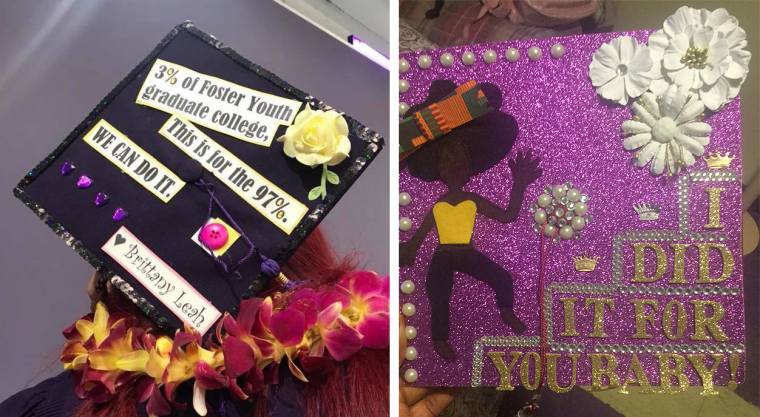 At her graduation ceremony, Kelaija wore a hat decorated by a friend with the words “I did it for you, baby.” These lyrics to a pop song show her gratitude to the many people who helped her achieve this goal. Kelaija lives in the Marina Vista neighborhood of Sacramento where Mercy Housing provides resident services. Three years ago, Kelaija was hanging out with her friends, when Ashlei, Mercy Housing’s Associate Director of Resident Services approached them. Ashlei was starting an afterschool program called Project Voice and wanted to know if they would join. Because one of Keliaja’s friends knew Ashlei from church, the girls were willing to talk to her and ultimately joined the group. Before joining Project Voice, Kelaija did not concretely understand the steps that one would take to attend college. Ashlei was one of the first people to see that potential in Kelaija and who was willing to help her succeed. On the advice of a friend, Kelaija applied for the 2018 California Legislative Black Caucus Scholarship. She was one of four winners chosen by assembly member Kevin McCarty, who presented them each with a check for $2,500 and a laptop in May. This fall, Kelaija was accepted to Louisiana State University in Eunice, Louisiana. She plans to study nursing and become a labor and delivery nurse. She also wants to study film and make a documentary about the people she grew up with. She knows that her neighborhood is infamous for crime, poverty, and lack of prospects. She thinks people should also see an insider’s loving portrayal of the kindness, generosity, camaraderie, and with that she has seen in her neighborhood. 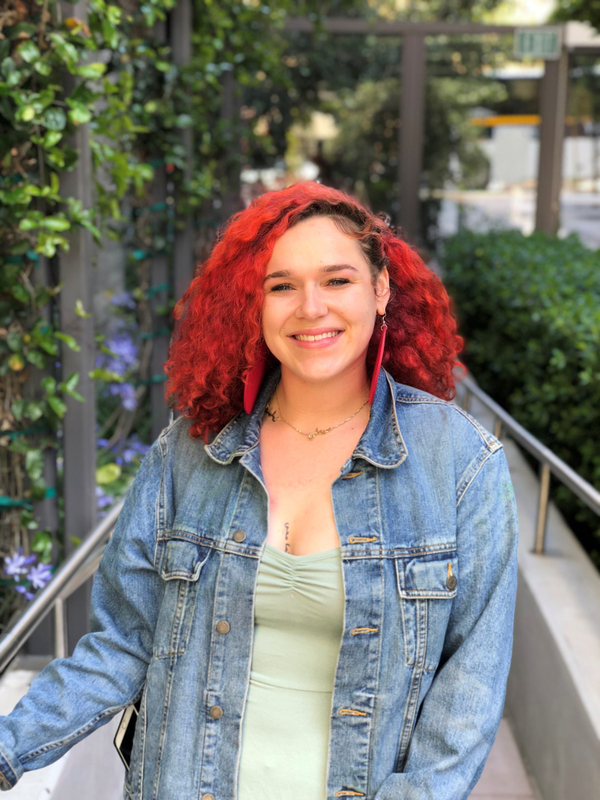 Meanwhile, in San Francisco, Brittany was two years into her four-year college program when she aged out of the foster care system and found herself in need of a home. She was working two jobs and maintaining a full course load, and unable to afford market-rate rent. Happily, she got the opportunity to live in Mercy Housing‘s Natalie Gubb Commons community and was able to finish her degree while having a safe, stable place to call home. One morning on her way to school, Brittany saw a flyer on the resident services’ bulletin board announcing a scholarship opportunity for Mercy Housing residents from the EPIC Educational Support Grant. 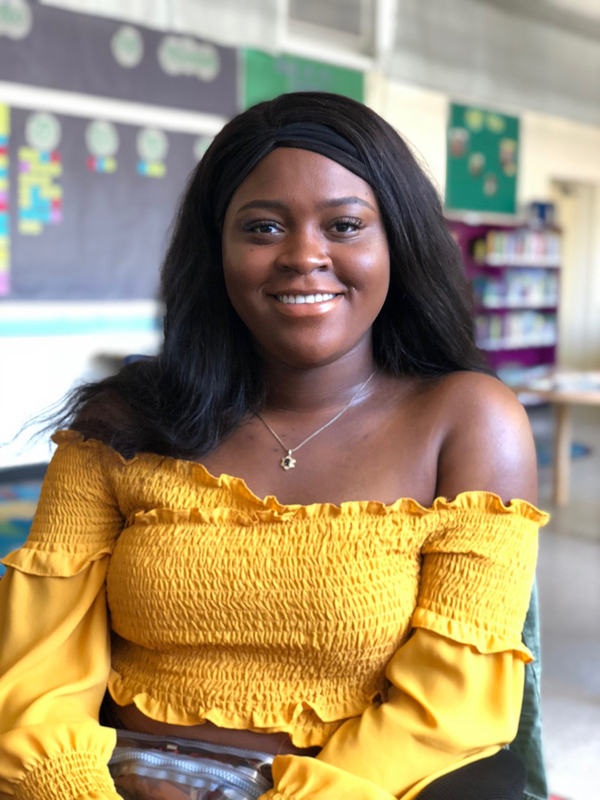 She applied, and was one of three students chosen in California to receive a $2,000 scholarship for post-secondary education, particularly related to non-tuition costs such as living expenses and textbooks. For both of these women, a bright future seems almost within reach. Coincidentally, one of the first challenges they face is the difficulty of finding a place to live that they can afford on campus. This article in the Mercury News describes how many students in college campuses all over California are increasingly unable to find a home they can afford on campus. California senators are working on a bill that would help college students have a place to sleep at night while they finish their degrees. Kelaija and Brittany are two women living in different parts of California who are a little closer to reaching their dreams and goals in part because of their relationships with Mercy Housing. They both have an undeniable spark and optimistic energy that is infectious. It is encouraging to know that there is a generation of young people who are working hard to make this world a better place. Congratulations class of 2018! We welcome you. We need you.